The first book in a two-volume series describing walking routes up every 2000-footer in Wales - all 166 of them. The result is not just a guide to the mountains of Snowdonia, but a handbook of over 450 routes covering 21 Welsh mountain ranges - the whale-backed ridges of the Black Mountains, the Brecon Beacons' precipitous escarpments, the Cwmdeuddwr uplands, Plynlimon's unknown valleys, the heather clad Berwyns, Cader Idris, the vast solitudes of the Arans and Arenigs, the Rhinogs and the wildest land in Wales. For those longer days the author also suggests over 100 high level traverses. 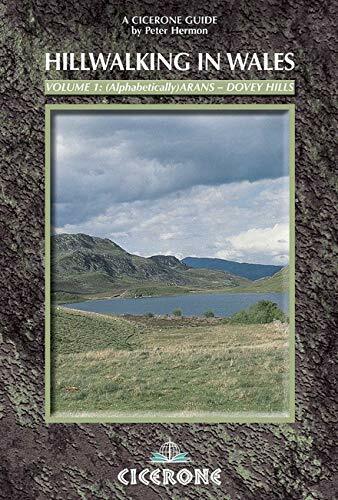 This volume covers: the Arans, Arenigs, Berwyns, Black Mountains, Brecon Beacons, Cader Idris, Carneddau, Cwmdeuddwr hills and Dovey hills.